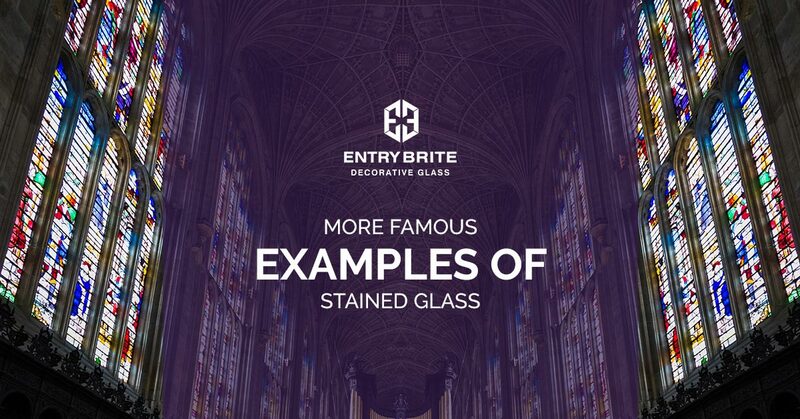 Here at Entry Brite, we’ve always got stained glass on the mind. Whether that’s a new front door for your home in Phoenix, or adding custom-made stained glass windows, we’re excited to transform your home. In our last blog, we discussed some famous examples of stained glass throughout the world. We use these icons as inspiration for our graceful designs, so we thought we’d share a few more of our favorites. The Iberian Peninsula has a long history of being controlled by various religions over the centuries. However, the presence of the Catholic church is felt throughout the region, especially in this amazing music hall that uses an incredible ceiling skylight made from stained glass to illuminate the space. The skylight actually dips into the building itself and is meant to represent the sun and the Earth’s rotation around it. Completed in 1908, this music hall was named a UNESCO World Heritage Site in 1997 in recognition of its amazing beauty and grandeur. Tucked inside the Mary Baker Eddy Library in Boston, Massachusetts resides the amazing Mapparium. Built in 1935, the Mapparium is a three-story tall stained glass globe. The globe can be entered, and visitors can immerse themselves in the amazing glass sphere, watching as colored light plays across them and other visitors. This globe is perhaps the key attraction at the library and draws many visitors every day. Originally built in 990, this church suffered immense damage during WWII nearly one thousand years later. Much of the stained glass that was in the building was destroyed. In the 1970s, Russian Jewish artist Marc Chagall created nine new stained glass windows, depicting various religious figures in various mosaics. Unlike traditional religious stained glass, the windows are a deep blue color, with highly stylized figures within them, providing the only other contrasting color. Chagall depicted vignettes from the Old Testament to show the commonalities between Christian and Jewish faiths and as a way to post-war healing between German and Jewish groups. The Brown Memorial Presbyterian Church in Maryland is decorated with a series of amazing stained glass windows made by the famous glass artist Louis Comfort Tiffany. Tiffany used innovative techniques like blending colors while the glass was still molten. The result was stained glass that was milky in appearance, creating an effect that was unrivaled by other glass artists at the time. Stained glass experts praise the craftsmanship of these windows, noting them to be some of the finest examples in the region. Stained glass may grace some of the most ornate and well-designed buildings in the world, but that doesn’t mean that you can’t enjoy it in your own home. 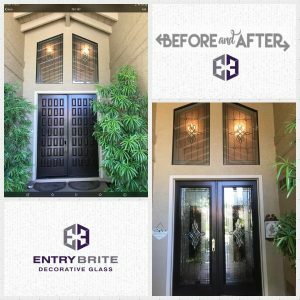 At Entry Brite in Phoenix, we offer entryway remodeling services that can transform the entrance to your home. We can install new windows, and can even craft you a new stained glass front door. You’ll feel like you’re walking into one of these magnificent famous spaces every time you open the door. Browse our gallery, and contact us today to find out more.